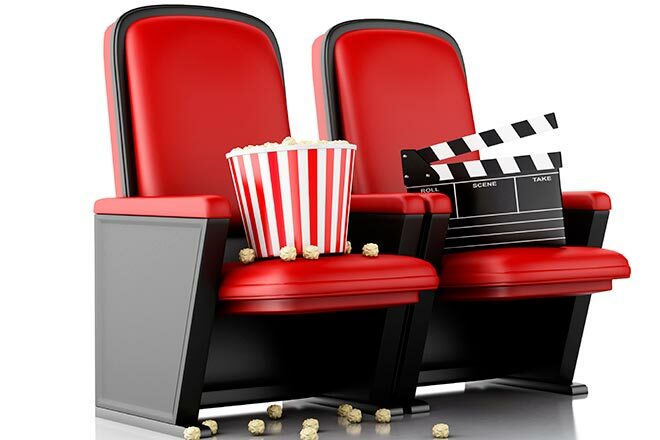 Two new releases topped the box office this past weekend with approximately $35 million. I've decided to review both. I'm not terribly familiar with the ABBA songbook. I know about "Dancing Queen" and of course the title song, but otherwise I just think of ABBA as that one band from Sweden that isn't Europe (they of "The Final Countdown"). But apparently we didn't get enough ABBA in 2008's "Mamma Mia!" so we're getting this sequel to meet... demand? We catch up with Sophie (Amanda Seyfried) as she's set to re-open the Greek hotel she inherited from her late mother Donna (Meryl Streep). That's right, Donna has died. The trailers for this film spoiled almost every twist and turn of the plot, but they neglected to mention this bombshell we get right at the beginning. Sophie still gets to pal around with her mother's friends (Julie Walters and Christine Baranski) and her "three dads" (Colin Firth, Stellan Skarsgard, Pierce Brosnan), but a storm threatens to destroy the festivities. The daughter's current story is told alongside the past adventures of her mother (played as a younger woman by Lily James), making this film the "Godfather Part II" of ABBA movie musicals. Yes, we get Streep eventually, as well as the much-hyped appearance by Cher as Sophie's grandmother, but the "performances" are little more than cameos. The movie is beyond corny. I'd compare it to something you'd see at an amusement park, but I'm afraid it would demean hardworking amusement park performers. 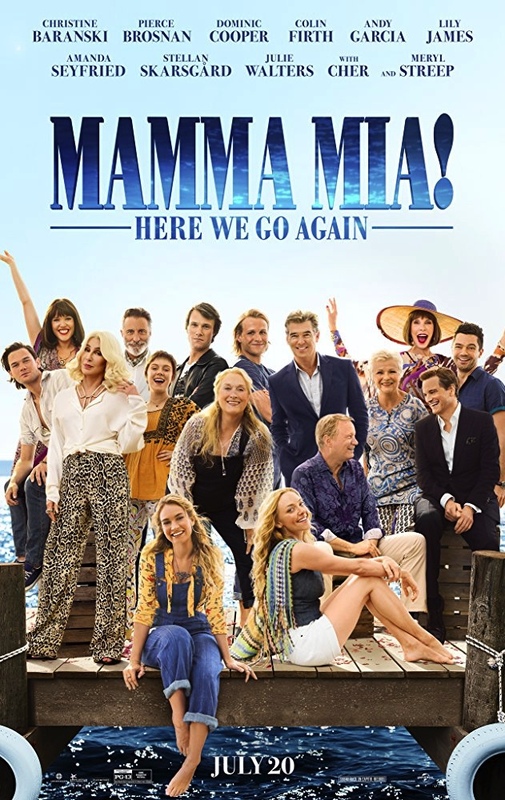 If you enjoy people jumping into overproduced ABBA musical numbers, then I'm sure you'll find something to like here, and real quick I'll compliment the movie on its luscious scenery and more fleshed-out relationships. But "Mamma Mia!" was hardly my cup of tea, and "Here We Go Again" tries admirably, but fails, to win me over. "Mamma Mia! Here We Go Again" is rated PG-13 for some suggestive material. Its running time is 114 minutes. 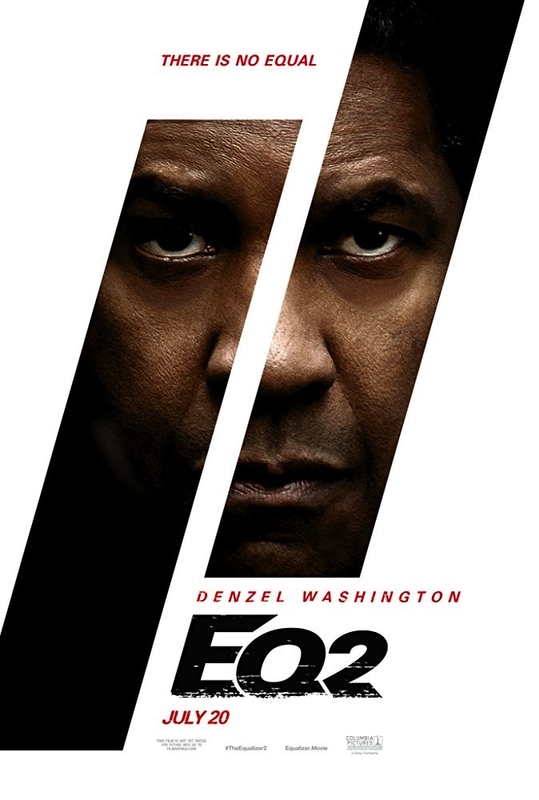 Audiences were first introduced to Denzel Washington's take on Robert "The Equalizer" McCall back in 2014. The film, based on an obscure 80's TV series, was okay at best, a vehicle for Washington to play a charismatic hero against the backdrop of an otherwise-uninspired action movie. The movie just barely cracked $100 million at the box office, so even though Washington could be spending his time on any number of more challenging or rewarding projects, he's returning to this disposable franchise. Most of McCall's adventures don't follow a straight path, he just rights wrongs where he sees them. The wall of his apartment building has been vandalized? He'll repaint it. Neighbor kid is in danger of getting sucked into a street gang? He'll give the kid an honest job, but only after he goes to school. Turkish gangster has kidnapped his own daughter and fled the country? McCall has the CIA training to sort that out. It's no wonder the movie is based on a TV series, because the first half of the film plays as very episodic. Eventually we settle into a plot involving an old CIA friend of McCall's (Melissa Leo), one that also involves his former partner (Pedro Pascal). Thanks to the Pascal character and McCall's look into the very human life he leads, the sequel is actually better than the original. It's not too much better - it still has a lot of the same problems like a predictable story and an overlong running time, but there's a noticeable bump-up. Washington turns in a dexterous performance as always, so if you need a Denzel fix, go ahead and watch him Equalize a few things. "The Equalizer 2" is rated R for language and strong bloody violence. Its running time is 121 minutes.